Oak Farm Montessori School sits on an 100 acre campus. Over half of the campus is being restored to native habitat. Restoration work includes students from all levels: toddler through high school. Montessori education gives students opportunities to learn while doing meaningful work. Ecoliteracy and service work are important goals at Oak Farm. High School students attend a weekly class called Eco-Impact for their first two years. Part of their work is responsibility for restoring a wetland and prairie next to their building. Students make many of the decisions about the directions the conservation work will take over the coming years. We will present the components of our work at Oak Farm through the combined perspectives of a restoration ecologist, ecoliteracy coordinator, and high school students responsible for making decisions about the direction of the conservation work. We want to share our work and connect with others that incorporate conservation in their education work with K-12 youth. Brett Bloom, Ecoliteracy Coordinator, Oak Farm Montessori School, Avilla, IN. Bloom works with students from toddler to high school. His responsibilities include coordinating restoration work on a 100 acre campus. This entails—collecting, cleaning, and spreading seeds; mitigating invasive plants; raising trees and native plants in the greenhouse; planting trees and plant plugs—and doing these activities with students and/or families during community events. Bloom is currently co-creating a Kinderforest program for students on the primary level where students will spend an entire day in the woods once a month year round. Ecoliteracy at Oak Farm includes making green cleaning products with students; maintaining a perennial permaculture garden; planning an annual Earth Fest celebration; facilitating campus-wide composting, and more. John Brittenham, Restoration Ecologist, Blue Heron Ministries, Angola, IN. Since his youth, Brittenham has always had two loves, the natural world and its creator. After obtaining a B.A. 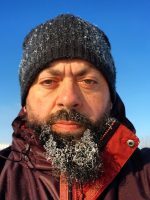 in Biology and Biblical and Religious Studies from Huntington University in 2002, Brittenham worked as an environmental educator for one year in northern Michigan and two years in central California. 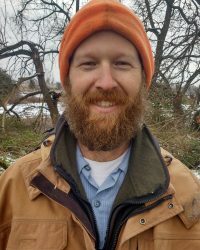 In 2009, John graduated from Taylor University with a Master of Environmental Science and went on to work for The Nature Conservancy in southwest Michigan, and Native Connections in Three Rivers, Michigan, before joining Blue Heron Ministries in 2012. At Blue Heron Ministries, Brittenham works in the field restoring natural areas in northern Indiana and southern Michigan through invasive species control, prescribed fire, prairie and savanna creation, and environmental education. Along with his enjoyment of restoring the natural communities on his own property, Brittenham spends most of his time loving on his four kids and wife. 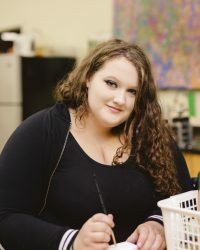 Claire Weiss is a high school sophomore at Oak Farm Montessori high school. She enjoys dancing, writing, and spending time with her family and friends. She decided to go to the conference to learn more about how the next generation can impact our environment and world. Abby Murphy is a junior at Oak Farm High School. She enjoys writing and talking with her friends. 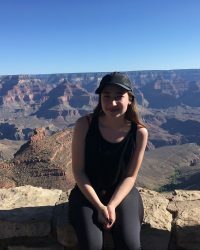 Abby is interested in the conference to learn more about the importance of making a positive impact on the environment, and how to be an advocate for doing so. Mariah Clark is a sophomore at Oak Farm Montessori High School. She has gone to Oak Farm since preschool and has always loved learning about how individuals can impact the environment. She enjoys traveling and spending time with friends and family. She hopes that attending this conference will help expand her own knowledge of how she can better the environment.